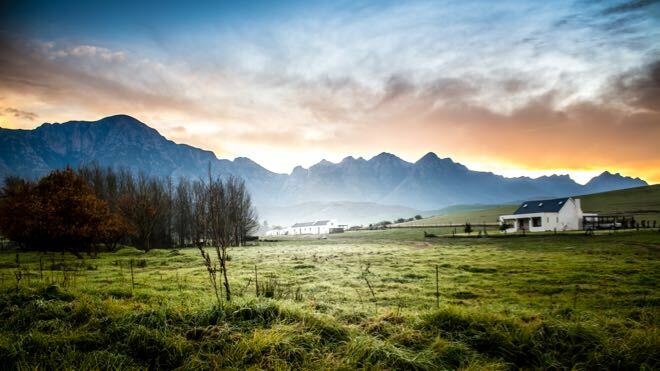 The Oaks is a historic Cape Dutch farm nestled at the foot of the Sonderend mountains, just outside the beautiful village of Greyton in the Overberg, Western Cape. 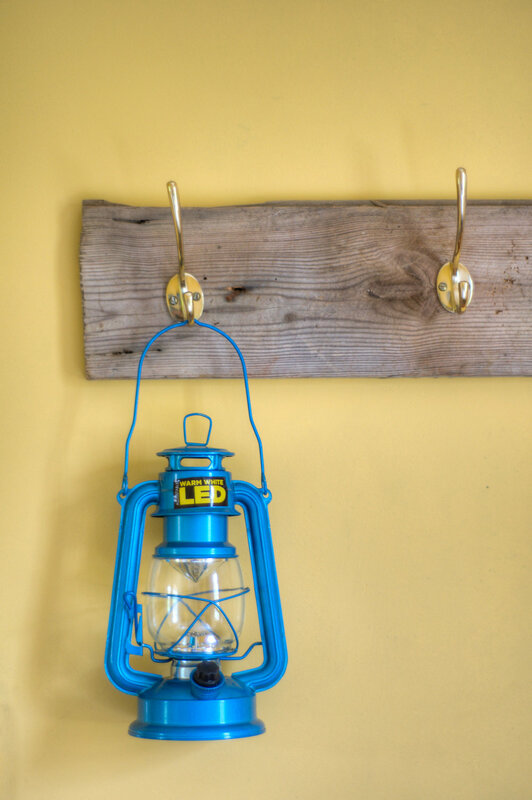 Guests are invited to relax and enjoy the unique heritage and working farmland of The Oaks. The Farm House is a spacious and comfortable double-storey house that can accommodate up to six people. 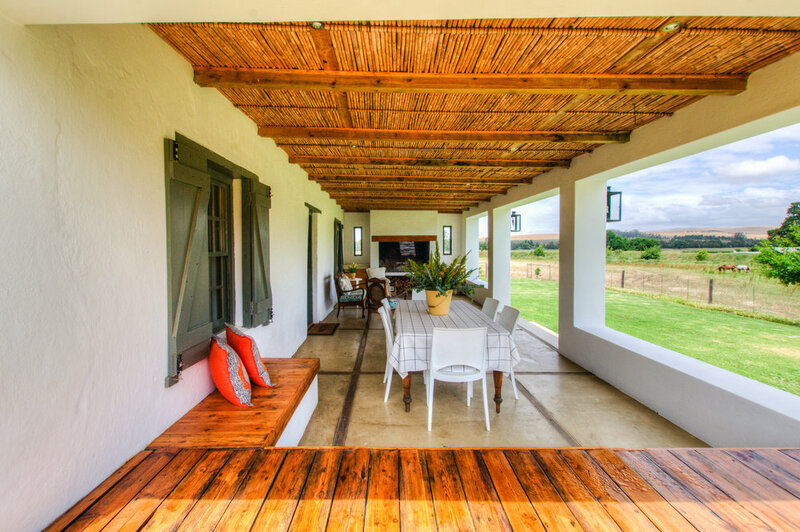 With a large verandah, beautiful views, indoor fireplace and outdoor braai facilities; this house is the ideal place to relax and enjoy the tranquillity of the farm and nature. 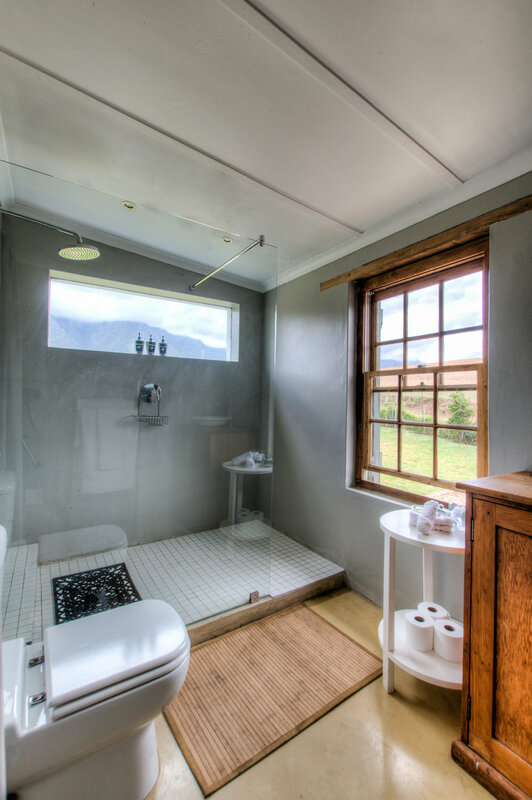 The Farm House consists of three bedrooms; two bedrooms with a double-bed and an en-suite bathroom each. Furthermore, the Farm House has a third bedroom with two single beds and a separate bathroom (shower only). It also features a living and dining area and fully equipped kitchen. 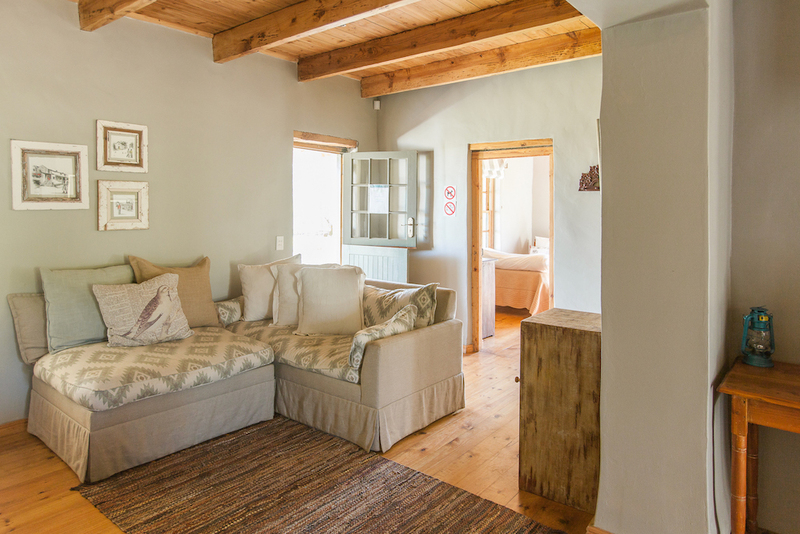 Zonderend Farm Cottage 1 consists of one bedroom with a double size bed, bathroom (shower only), kitchen, living room, indoor fireplace and outside braai facilities. With lovely views of the mountains and surrounding farm land this cosy cottage is the ideal place to relax and enjoy nature. There is a single daybed in the living room, suitable for a child/individual. 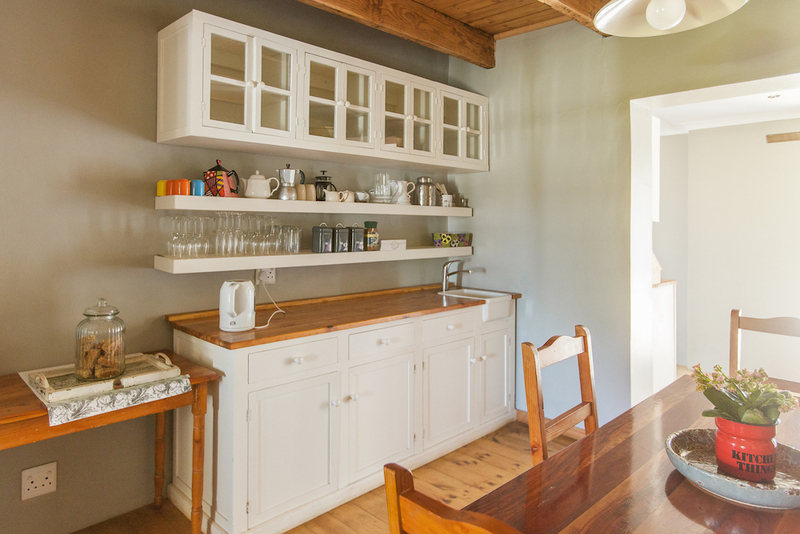 Zonderend Farm Cottage 2 consists of two bedrooms and a kitchen with an indoor fireplace and outdoor braai facilities. The master bedroom has a double bed with an en-suite bathroom (shower only). The second bedroom, that is connected to the master bedroom, has two single beds. With lovely views of the mountains and farmland this cosy cottage is the ideal place to relax and enjoy nature. 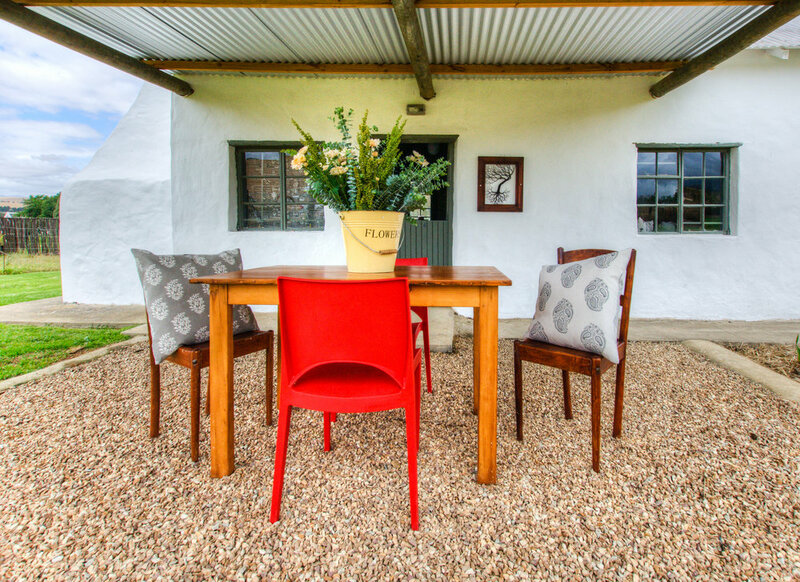 Stylishly and individually decorated with a modern country feel The Loft Rooms are in the Manor House, situated in the traditional and enclosed Cape Dutch Farmyard. 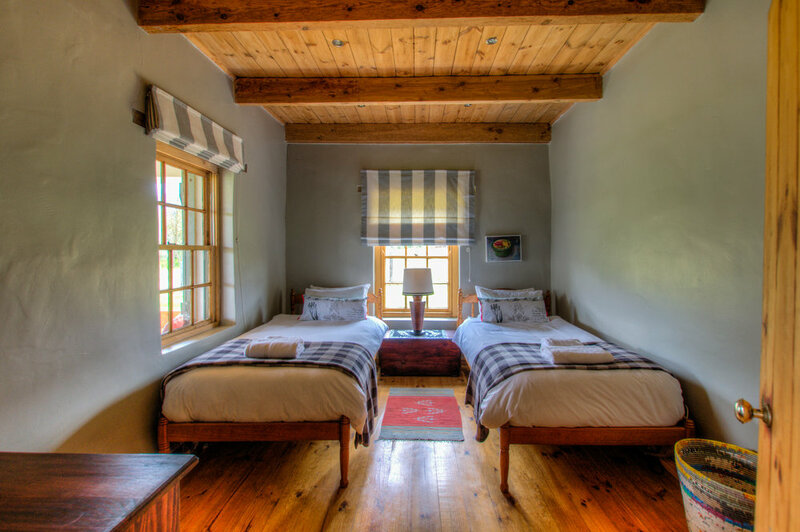 With magnificent views of the Sonderend mountains and surrounding farm land, these rooms are a great place to relax and enjoy the rich history of the farm. The loft consists of three en-suite bedrooms, a lounge, library and dining area. Breakfast is served in the beautiful dining room of the Manor House. Loft room 1 consists of two extra length, single beds with an en-suite bathroom (shower only). Loft room 2 consists of an extra length, queen-size bed and en-suite bathroom (shower only). Loft room 3 consists of an extra length, queen-size bed and bathroom. The renovated, grand old Cape Dutch Farmyard provides an idyllic setting for celebrations, events, conferences and smaller functions. The old Wine Cellar (Function Venue) can accommodate up to 80 guests in a dinner style set up. The building has a fully serviced kitchen with large cooler room and conference facilities. The Oaks offer wine tastings from the wine cellar below the function venue, visible through a glass floor section. The farmyard is surrounded by beautiful farmland with fruit orchards, grazing cattle, grapevines and a mountain reserve, accessible to guests. 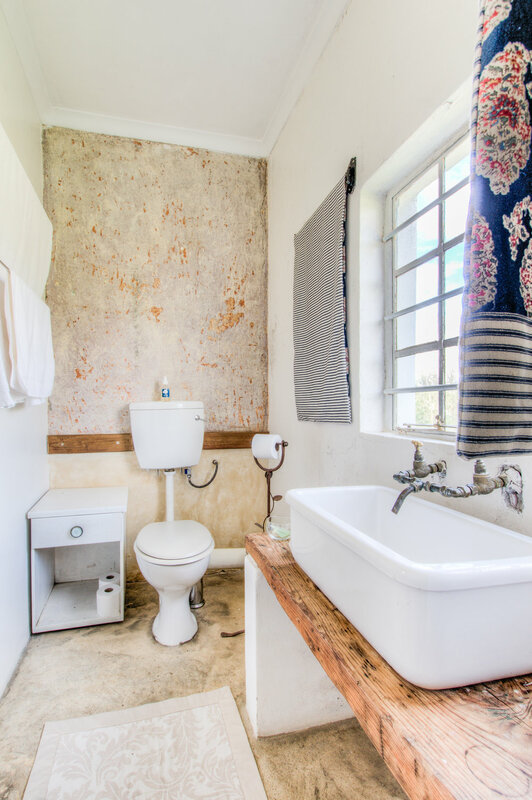 The Oaks offers accommodation for up to 18 guests in three luxury Manor House Loft Rooms and three Self-catering Cottages The beautiful village of Greyton is only 10km away with lovely accommodation and restaurants.